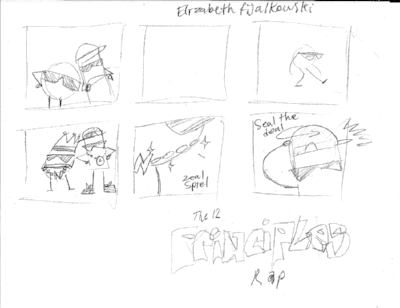 “The Twelve Principles of Animation Rap” began life as a bullet point on a list of things that could be made to promote NUA ANIWIP conference (Norwich University of the Arts Work In Progress). I was intrigued as to how or what this would entail, so I volunteered to develop the idea further. After discussing with tutor Jon Dunleavy, I had an angle. It was to become a rap based on The Twelve Principles of Animation. The Twelve Principles of Animation are a series of techniques that were devised and categorised by Disney animators Ollie Johnston and Frank Thomas, which are fundamental to creating a great animated performance. Here at Norwich University of the Arts, we are taught the principles in First Year, and we continue to refine our use of them through our graduation. I am not from a musical background, so the music production of the video was done through a lot of guesswork and ‘messing about’ to understand how music worked. The closest I’ve come to making any sort of song before this has been taking lyrics of existing songs and changing them so that they fit a new purpose. The aesthetic and design inspiration of the animation came from research into Eighties rap videos, and the ensuing decades’ desire to replicate them in affectionate parodies and pastiches. One particular design element I knew I wanted from the animation’s inception was a ‘graffiti wall’ for the characters to rap against, as a reference to the start of The Fresh Prince of Bel-Air intro sequence. The delivery of the information was also inspired by various ‘edu-tainment’ style videos, designed to explain things in an entertaining way. During my time in GCSE Biology, we were shown a similar rap-style song that explained how camels were adapted to their environment, which stuck with me and helped me explain the desired direction I wanted the project to go in. I knew that a simplistic art style for the characters would help make the animation appealing. With fellow animator Elizabeth Fijalkowski, we developed the characters of Squash and Stretch to be simplistic shapes to represent their personalities and, as the designs developed, gave them floating limbs, which allowed for more animation potential. The production of the rap went into hibernation while, collectively, the university headed through deadlines. Third Year of university is hard work and you have to prioritise your workload efficiently to get the best results. Two weeks after deadline, the rap came back to life and together, with a team of students from across the course, we set to work generating dances and lip syncs to the audio. I would like to thank Elizabeth for all the editing work she did. It’s always important to have a trustworthy editor, and her composition and editing work really helped push the project further. Within two weeks, the animation had been completed. I am amazed at how quick the turnaround for the project has been, and am thoroughly impressed by the dedication of the animators on the team. The Twelve Principles of Animation Rap has been a fun personal project to develop, and I have enjoyed the collaborative nature of it. It’s been good to work alongside people I wouldn’t have otherwise been able to, as well as taking a directorial role. This summer I volunteered at an International Animation Festival called Fest Anča, surprisingly held in a small historic city of Žilina in my home-country Slovakia. The festival started on the 28th of July, on the same day as I flew to Slovakia for my summer holidays at home, so the timing was very tight but I am really glad I decided to go nevertheless as it’s proven to be an amazing networking experience on a personal and artist level as well. I first became properly involved in volunteering when I signed up to be a PAL mentor at NUA towards the end of my first year at uni. This really opened my eyes to the world of opportunity which arises from volunteer work, and I started to look at the world differently, finding exciting things to fill my summer holidays with. The obvious choice for me was to participate in the International Festival of Animation, which is held in my country annually, yet which until now I haven’t had the chance to attend. This was the perfect opportunity. I was able to freely enjoy the program of the festival during my time off, and I saw multiple screenings as well as the most important masterclasses and screenings of work by international guests Barry Purves, Paul Bush and Robert Morgan, who I got to speak to afterward. I made a closer acquaintance with Barry Purves, when I and my fellow volunteer friend (a recent Film and History of Art graduate) had questions for Barry after his screening, which sprouted a long discussion over lunchtime. We asked about his creative process and details of production and he asked us for feedback on his films in return, to get our account on if they work the way he intended. This was a pretty surreal experience for me, to speak to a professional animator who came from England to this small festival in Slovakia because until then I believed my country’s art industry to be very limited and this encounter proved me wrong. Later, I asked Barry if he’d be willing to give us a guest lecture at NUA and after being contacted by my tutors, he became the first visiting lecturer of the year (and remembered me, so we had a friendly chat before his talk) If I were to specialise in stop-motion this would be an amazing opportunity for me to try and get an internship, however, I am still mostly angled towards 2D digital. Barry also held a masterclass for animators on the night before the festival officially began, which I wasn’t able to attend due to my travelling, however, it would have been a great opportunity to meet Slovak junior and senior animator from the industry. On the other hand, our tutors have already arranged for Barry to give us a specialized workshop here at NUA, which will be even more useful! Apart from meeting senior professionals from the British Animation industry, I was also confident and bubbly enough to chat to everyone who appeared to be speaking English and thus have made friends with recent animation graduates from all over the world, who entered their shorts into the competitions and were invited to the festival. One of these I’ve become friends with, Nicolas Petelski, and we exchange our work quite frequently, which is very inspiring for me to see and get feedback. To reflect upon my experience, I definitely want to keep going to festivals of art to gather inspiration and social connections. It was an eye-opener for me, into the creative community in Slovakia and how it is not impossible to bring international talent into my small home-country. In the near future I want to become more involved with this festival, both from the organizational point of view, as well as to submit my animations to hopefully have them screened! Be friendly and TALK to people, this is the only way networking happens and it’s likely that you will get to meet amazing people from the industry, so make use of it! 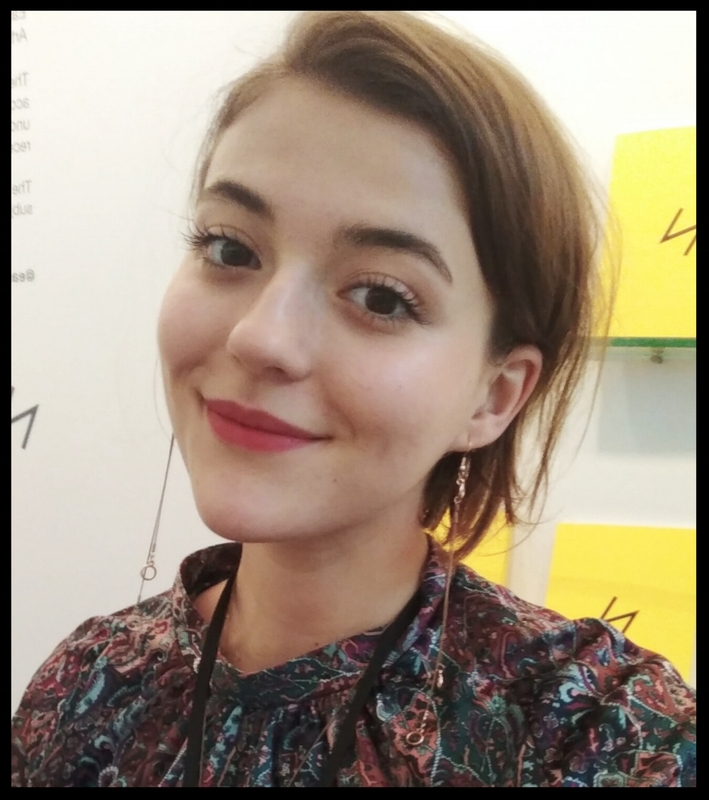 Valentina Huckova is a Second Year Animator. I discovered the existence of the Annecy International Animated Film Festival in 2015, when some of my online friends had attended it. When they shared their experience on Facebook, I knew I had to go some day. As I finished the second year of my animation course I felt this would be the best time for me to visit. So I planned my journey, got advice on what to see, how to get around and made my way. Annecy is a really nice city. The main building that the Festival was hosted at Théâtre Bonlieu is just across the road from the huge open air screening, the lake and a view across to the mountain range. I was stunned by how the mountains loomed in the distance everywhere I went and everyone just went about their business. Since Norwich doesn’t have a mountain range, I was just in awe of them. There are also a lot of colourful buildings with grand architecture, large comfy cinema theatres and startlingly blue water. Having never been before, and being unaware of Annecy Festival traditions, I was surprised by the amount of paper planes being thrown while the cinemas filled up. It was a completely different experience to going to the cinema any other day, and I found it hard time adjusting when I returned to England and no one was throwing paper planes and the like.The experience at Annecy was very informative, and helped develop my ideas on my practice, which is extremely useful as I enter my third year. NEW CREATIVE CONTEXTS: A shared talk with Jean-Baptiste Spieser of Teamto and Tom Box of Blue-Zoo about current and upcoming things in the industry. The Teamto talk was about the production pipeline and how it can change radically depending on productions. The Blue Zoo talk was also quite interesting as it explained how they built and overhauled their render farm, as well as how they collaborate creatively within their studio. The Art of Visual Storytelling with WALT DISNEY ANIMATION STUDIOS: The two speakers were Nathan Engelhardt, an animation supervisor, and story artist Lissa Treiman (who had, coincidentally, illustrated the first few issues that got me hooked to the comic GIANT DAYS). This was a massively helpful talk, very much worth the wait. The two speakers talked about how to make good shots great, through the positioning of cameras to the two cores of 'greatness' in animation – truth and entertainment. VIRTUAL REALITY is the future: Google Spotlight Stories had a VR station set up with new videos daily. I managed to catch the session on Thursday which presented a preview of SON OF JAGUAR (dir. Jorge Gutierrez) and ARDEN'S WAKE: PROLOGUE (dir. Eugene Chung, Jimmy Maidens). I had never understood the true potential of VR in animation until after watching these, so much so that after I'd watched them I wandered around Annecy in a daze. Arden's Wake was especially mind blowing, as you could actually walk into the setting and see it from all angles. This has made me want to experiment with VR in my own practice. THE PEANUTS MOVIE (outdoor screening): Having seen this movie before in English, I was surprised at how easy to understand it was in French. The broad animation style of the movie definitely helped. DESPICABLE ME 3: This is the first world premiere I have ever been to, and the atmosphere was wonderful. This was without a doubt one of the most active audiences I have ever been in. Whenever a joke hit, there would be a wave of laughter and applause, when one of the characters did something cute, there was a collective 'awww', even the applause at the end of the film ended up slipping into the same beat as the music of the credits. CAPTAIN UNDERPANTS: I never read that many Captain Underpants books when I was younger, so I was pleasantly surprised with how funny this was. Much like The Peanuts Movie, it managed to capture the style of its source really well, whilst still giving it their own flair. ZOMBILLENIUM: An adaptation of a French graphic novel. Before the film began, the crew were on stage and threw production caps into the audience. The film was very stylish, with bold colours and shapes for the characters and making the CG look 2D. 1. Take care of yourself: In the height of summer in the south-east of France, Annecy is hot. But when you are standing, walking, waiting and surrounded by other people who are also hot, the heat becomes unbearable (so much so that my watch had condensation on it at several points). Drink lots of water, try to keep in the shade when waiting outside, remember to eat. 2. Learn key phrases in France: This is something I'm going to try and pick up should I go again. I used to know quite a bit of French, but having forgot most of it, struggled at points of my visit. A lot of the hosts are bilingual should you have any questions, but knowing the sound of general phrases and what they mean is helpful in a pinch. 3. Beat the crowd: The Festival's 'first come first seated' events will fill up fast, and the queues for the screening events might result in you not getting in if you don't book a place during ticketing. The 'first come first serve' events that I missed were with popular big names, such as a talk with Guillermo del Toro and another with the creators of The Amazing World of Gumball and Don't Hug Me I'm Scared, which I am still kicking myself over, so be sure to arrive early for those. 4. Patience is a virtue: The queueing process at Annecy is quite arduous, but the wait is always worth it. I got into the talk with Walt Disney Animation Studios by waiting two hours earlier. It pays off very much. 5. Be tactical: Annecy is a big festival in a big city. Events conflict and travel times might be longer than you expect if you are travelling by foot or if you need to retrace your steps. When it comes down to seeing a mainstream film or a studio focus talk, choose which one would be a more informative experience. This links in well with taking care of yourself too. If you haven't eaten or drank anything for a while and you are thinking of joining a queue for something that needs you to wait for an hour and a half in the sun, it's better to take care of yourself first and foremost. 6. If you can, go in a group: Not only will this be a 'strength in numbers' type deal, where you can book into the same events and wait together in the queue and tap out should you need to get food, but this experience is one to share if you are enthusiastic about animation and the like. 7. Don't be afraid to try: I hate plane travel. I knew very limited French. I have the worst sense of direction in the world at times. But I went to Annecy regardless of these things and actually had a brilliant time.